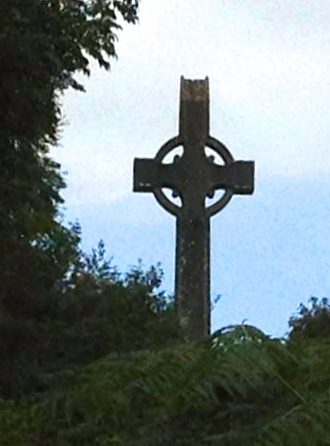 I love this photo of a stone Celtic cross. My friend who took it is on a Celtic Cruise. So I’m not really sure where she took it. I love Celtic crosses. My grandmother was pure Welsh and my husband Kit has some Welsh on his side of the family. The Welsh is all mixed in with Scottish and Viking genes, and I think of the Welsh as a tempering admixture to those more militant genes. Sometimes, God, I think people are a lot more like dogs — or cats — than we want to realize. People, though, come in even more “flavors.” I believe that social groups (cultures) select for preferred traits. And after centuries of “selection” we run fairly true to “type.” Thus “warriors” are bred. And so also are sea-faring traders, or enterprising merchants. I think, God, that You want to set us free from our genes AND from the cultures of our countries and our families. Free to be Your Unique Child! Thank You!